Blackburn on a Saturday afternoon… and an invitation to join discussions with business, mosque and council leaders from the Pakistani community, as the Insight Out project comes to an end, with dedicated time to face outwards and engage additional concerned citizens. It was a wide-ranging, open-hearted debate about what Pakistani heritage Blackburn residents might do to improve the outlook for both their own and their neighbours’ communities. The move towards real action, I sensed, has begun. I was invited to be part of the event because in 2009 I conducted an evaluation of the Blackburn Young Pakistanis Achievement Commission (BYPAC), a mosque-led after-school programme which focuses on positive intervention and academic outcomes for young people in Blackburn’s Pakistani heritage community; and since then we have maintained contact. It was good to learn that one of the discussants at today’s event (19 May 2012) is a graduate of that programme. 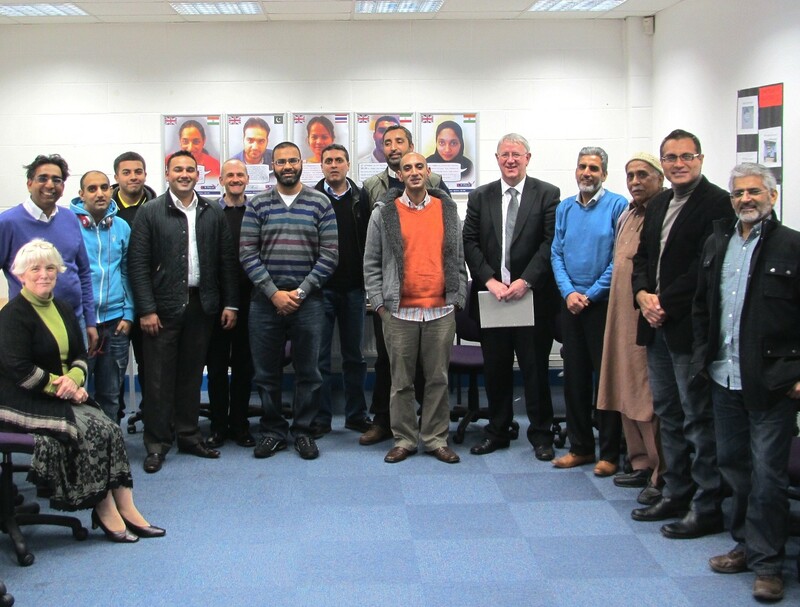 The Insight Out programme, instigated by Blackburn resident Waqar Hussain, has comprised over the past six months a series of fortnightly meetings by a committed group, where questions about the contemporary experience of Pakistani heritage Blackburn residents were explored. Thus, as it comes to an end, we – some members of the insight-out group and some other invitees, assembled. And the willingness of those present to address difficult issues clearly and constructively become quickly evident. Following the event Waqar Hussain suggested we share here some impressions and thoughts about these discussions. (Waqar’s narrative follows below). Doubtless there will be further observations and ideas too – other participants are most welcome to add comment also – but there do seem to be some common themes, both general to areas such as the North-West of England, and specific to areas such as Blackburn’s Pakistani heritage community. There are themes here common to almost all northern, and many ‘excluded’ southern communities – the fear of a downward spiral of few jobs, low incomes, further diminution of the local economy; the balance of activity between the public and private sectors; achievement in education; haemorrhage of skilled people to other places, etc. But there are other aspects which reflect more strongly the problems facing the Pakistani heritage community – for instance, the closed nature of that community and the low horizons which sometimes ensue; or the deeply unfair community reputational damage to all which has followed from the violent crimes of the few; or the assumptions about leadership and authority of ‘traditional’ communities. These difficulties, both the general ones and the more specific, offer significant challenges if they are to be overcome. Nonetheless, people at this event faced the issues squarely and honestly, with no hint of taking a ‘victim’ perspective; a position of strength has now been adopted which sets the tone positively and augurs well for the future. The future of Blackburn is not mine to predict, but I did see some possible patterns and prospects emerging which we were able to consider. The issues around the economy and jobs or entrepreneurship are now clear. Agreement is total that further investment and skills retention / development is required, and this is being shaped up by community leaders, business people and the council working together, as in other places. It’s a big challenge, but not a new or unrecognised one. The key will be teamwork and visible well-publicised successes. Similarly, the work of BYPAC and other organisations in ensuring that young people are positioned for educational success must continue. The Mosque has played a vital part in this and will continue to do so for the foreseeable future; and hopefully these schemes will over time reach out even further to include more girls, and children from beyond the Pakistani community too. This example of already in-action work on raising horizons and youth inclusion, coming from the senior leadership of the local community, is highly significant and perhaps deserves greater public recognition. It is an antidote to unfair ‘outside’ stereotypes and it offers real positive example within the community itself. But there are also some other things to think about, as everyone seemed to agree. Will there be more working groups, now insight-out has come to an end? And will these include a wider representation, from women, young people, specific professional and business interests, etc? For how long is the Mosque able to offer core support? At what juncture will activities become embedded in the wider community (and should this be seen as desirable)? Who will set the agenda/s, and how? Will the Council and other civic authorities be directly involved, either through existing channels, or in new ways? What will be the balance of debate and on-the-ground action? How will others’ hearts be engaged, along with already energised and able minds? And how will all of this be operationalised, resourced and led? This last question is often the most crucial. It is apposite to almost all developing communities, but it’s also specific in the ways it should be applied. Those within a community almost always need to work through for themselves who must be included and how, who must lead, or from where resources and support can be secured. The risk which many community-led initiatives face is that, after the initial bursts of enthusiasm and engagement, energies become dissipated. The focus on ensuring consensus or inclusion can at this point become an obstacle, albeit unintended, to progress. At some point the emphasis has to change, so that, understandings having been established, strategic direction, leadership and support become the way forward. This is when communities have to decide: talking shop, or hard-won real progress? Fudge, or genuine trust in chosen leaders? Token action, or confidence to demonstrate up-front that palpable improvements are actually taking place? 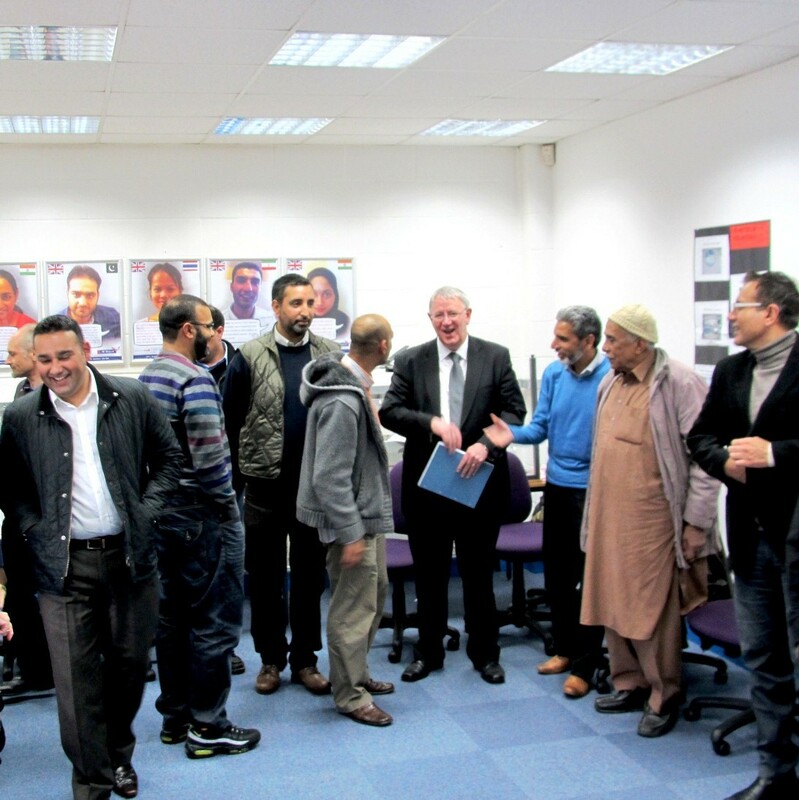 The event in Blackburn demonstrates very positively that communities do have the resource to go forward, when enough people in them are prepared to make a difference. Nonetheless, sometimes even the most committed activists may feel they can’t achieve enough for effective change to happen. This concern is probably misplaced. There is evidence that what works is not necessarily the size of the intervention, but rather its application over time. As in business and economics more generally, communities function better, and individuals in them thrive, when they are helped to believe that’s actually possible. By co-incidence, the issue of micro-finance was discussed not only at our Saturday meeting but also in a report that week by The Economist. In it we learn that even very small positive interventions in extreme developing world situations can produce effects which are larger and of longer duration than expected. This The Economist identifies as a sense of the possible, the ‘fuel of self-belief’. What these small interventions permit is hope – the (H) in our notes above. If micro-finance can fuel self-belief in genuinely desperate circumstances, modest investments of time, vision and support will surely also deliver that in the communities of Britain’s northern towns and cities. The challenge is to find people to ensure these resources are directed in ways which seed even more success. By that measure, the future of the Blackburn Pakistani community looks bright. The Insight Out project attempts to develop a new way in which marginalized communities can improve their well being. In this pilot, a group of professional Pakistanis try to make sense of their experiences with a view to making a positive contribution within their own ‘Pakistani’ community and the community of Blackburn in general. The methodology looks to create a framework for discussions and is particularly useful when emotions are strong but solution vague. How does a marginalized community currently relate internally and externally and how in the future? What is the basis of relatedness? How does the concept of identity or belonging configure in this equation and how does that inform entitlement? These are powerful and complex questions. The discussions can be uncomfortable and making one’s position clear carries personal risk and also risk to group solidarity. Deeply held assumptions are revealed and may require debate and personal adjustment after being challenged. This can be emotionally difficult. To create the right environment for honest discussions requires sensitivity. It requires the group to feel comfortable. In part the structure of the meetings, familiarity with the space, the timings and the format allows deeper discussions but the role of the facilitator is crucial – requiring one to be mindful of people’s expressed and unexpressed anxieties. The ability to make sense of the emotions as well as the words and to have them made available for consumption moves the group along ever forward in richer dialogue. It requires considerable expertise of the part of the facilitator to hold a group’s fragmented thoughts whilst allowing it to come to terms with difficult ideas about themselves and others. The approach borrows from a systems-psychodynamic methodology. As a methodology it is well grounded. It is rigorous, well researched and has been applied for decades in the NHS. The methodology does not impose a solution – it allowsthatt to emerge and empowers those that have the greatest passion to act. It also gives the group an understanding of organizational issues i.e. accurately defining the ‘objective’, an understanding of authority, leadership and representation increasing the chances for success. The session on Saturday was a very basic introduction to the experiential way of learning. This methodology has been applied in organisations but its application to community development is untried. If successful, it provides a method of dealing with the range of problems facing the borough including cohesion, education and employment. As the very least it allows people to share their thoughts in a safe environment and understand the how issues of poverty, poor health and education all inter relate. It seem counter intuitive to be ‘discussing’, when action is needed, but this methodology actually protects scarce resources (volunteers’ time and expertise). Action decided upon in moments of anxiety only really serves to eradicate the anxiety and thus can miss the problem all together. Volunteers are often disillusioned after putting considerable effort to deal with an ‘issue’ to see what little impact they have really had. Volunteers in this case are giving their time in a graduated way and being made aware of the holistic picture. If they then want to take action – there is a context in which the action can take place. Have you been involved in this process? Your observations and ideas will be warmly welcomed via the Comments box below.